SECTION A: dimensions=19'X 8'(1/4 circle) = 152 square feet. perrenial ordinary June to Sept. SECTION B: dimensions=19'X 8'(1/4 circle) = 152 square feet. (goldenrod) canadenis yellow x-large 40 30 perrenial ordinary August to Sept. SECTION C: dimensions=19'X 8'(1/4 circle) = 152 square feet. SECTION D: dimensions=19'X 8'(1/4 circle) = 152 square feet. 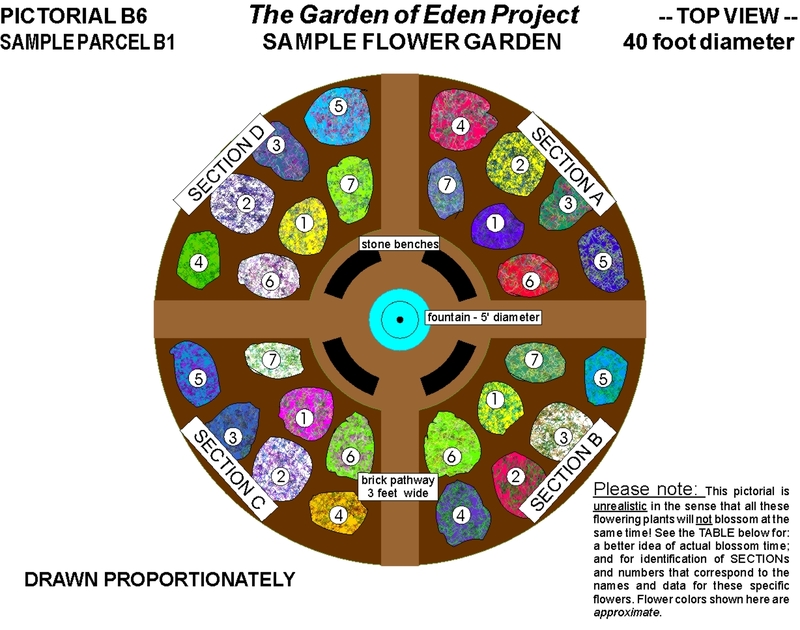 **The actual time of flowering will probably not be as long as the entire range of months as shown here. This data is the RANGE for the ENTIRE PLANT SUB-FAMILY as indicated by the CAPITAL LETTERS, and listed under the "PLANT NAME" column. Lower case names indicate "species". *INFORMATION SOURCE: Prentice Hall Encyclopedia of Garden Flowers, Anita Pereire, copyright 1989, by Prentice Hall Press.